The whole of Stendhal’s youth was spent under the aegis of Napoleon, and Napoleonic legend played an increasing part in his later writings. Lionel Kochan profiles one of the leading bankers among British Jews, who devoted fifty years of his long life to the welfare of Jewry overseas and the future of Palestine. 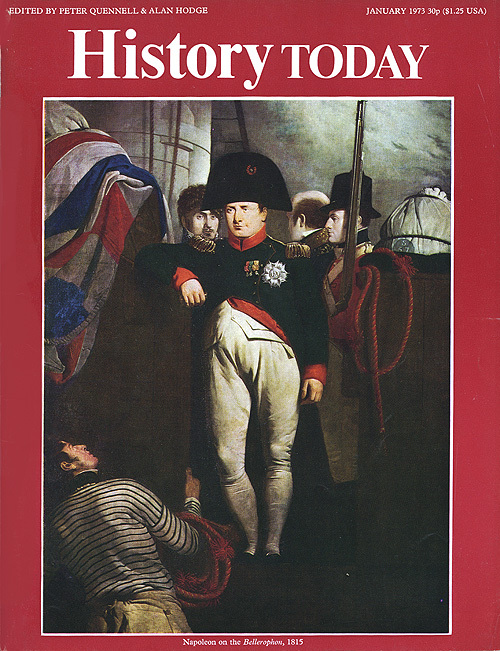 In the wars with France from 1745 to 1815, writes Richard C. Saxby, the French naval base was blockaded from English Channel ports miles to its leeward. First built in the 1630s, writes Leonard W. Cowie, Leicester House became the London home of three eighteenth-century Princes of Wales. W. Bruce Lincoln describes how the European Revolutions of 1848 alarmed the Russian Government so much, it sent its armies to aid the Habsburgs in Hungary.